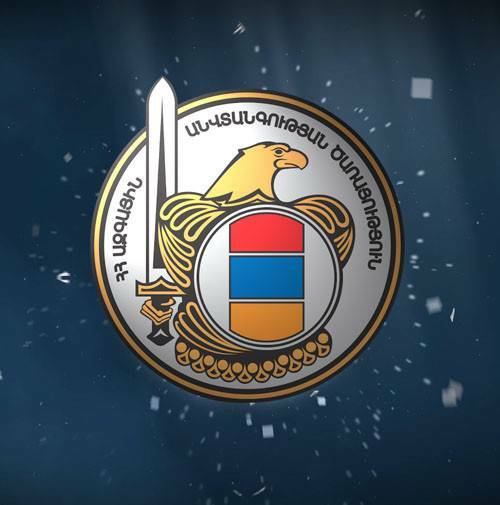 The National Security Service of the Republic of Armenia, within the framework of the functions vested upon it by the law, carrying out a consistent and unyielding fight against different manifestations of crime and corruption directed against the economic security of RA, as a result of conducted large-scale operative-search and investigation activities, obtained data according to which officials of the State Control Service of RA, by abusing their power, obviously illegally interfered the process of the State purchases and created obstacles for legal entrepreneurial activities. According to the factual data, obtained within the framework of the criminal case instituted in the Investigation Department of the NSS of RA on 20 February 2019 according to part 2 of Article 308 and part 2 of Article 325 of the RA Criminal Code, the interim head of the Department of the Control on Purchase Processes of the RA State Control Service S. A, having the authority to control the fulfillment of the requirements of the legislation regulating the purchase process with State financial means, with the prior consent of the chief specialist of the same department G. Kh,, proceeding from the evident personal interest and using their official position contrary to their service interest, during 2018-2019 illegally interfered the purchase procedures. These purchase procedures were organized to obtain medical equipment necessary for the needs of the controlled entities – the RA Ministry of Health and a number of medical centers. Their aim was to ensure, in the declared biddings, the winning of the trade organization under their protection. Herewith, if the employees participating in the purchase processes refused to fulfill illegal demands, the officials of the RA State Control Service threatened or actually initiated examinations. Аs a result of the mentioned activities, the qualitative character of the goods to be supplied has been reduced by making changes in the technical specifications, factually matching with the goods being supplied by the companies affiliated with them. The representative of the above mentioned economic entity T.A. (who supported the said officials and acting according to prior consent with the latter) presented fake certificates on the qualitative character of the goods to be offered to the officials involved in the purchase process. As a result of the changes of the corresponding technical characteristics, the equipment purchase competition for 3 medical institutions was conducted with technical specifications that did not meet the real needs of those institutions. As a result, the authority of the state body has been undermined, the rights and legitimate interests of the other companies taking part in the purchase have been violated, and the normal process of the purchase has been disrupted. Moreover, not only the activity of the state body and organizations insuring the quality and enhancement of medical care was disrupted but also the fulfillment of the right to health care of a large number of individuals, vested by the Constitution of RA, was in danger causing serious consequences. On the 25th of February, 2019, within the case, two officials of the State Control Service of RA and the representative of the economic entity T. A. have been arrested. On the 27th of February, 2019 the above mentioned officials have been charged with part 2 of Article 308 and part 2 of Article 325 and the representative of the economic entity who was supported by them- with part 2 of Article 38-308 and part 2 of Article 325 of the Criminal Code of RA. Detention was chosen as restraint in respect of the mentioned three individuals. The preliminary investigation goes on. Measures are being taken to reveal all the corruption practices in the purchase field and the individuals related to it, as well as to determine the amount of damage.